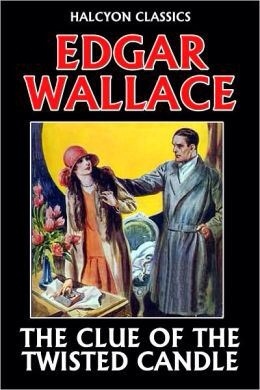 English Writer Richard Horatio Edgar Wallace sadly passed away 10 February 1932. Born 1April 1875, 7Ashburnham Grove, Greenwhich, He received a good education and for some time Wallace attended St. Alfege with St. Peter’s, a boarding school in Peckham, however he played truant and then left full time education at 12. Joining the army at 21, he was a war correspondent during the Second Boer War for Reuters andThe Daily Mail. Struggling with debt, he left South Africa, returned to London and began writing thrillers to raise income, publishing books such as The Four Just Men (1905). Drawing on time as a reporter in the Congo, covering the Belgian atrocities, Wallace serialised short stories in magazines, later publishing collections such as Sanders of the River (1911). He signed with Hodder and Stoughton in 1921 and became an internationally recognised author.After a disastrous bid to stand as Liberal MP for Blackpool in the 1931 general election, Wallace moved to Hollywood, where he worked as a script writer for RKO studios. a prolific writer, one of Wallace’s publishers claimed that a quarter of all books then read in England were written by him. As well as journalism, Wallace wrote screen plays, poetry, historical non-fiction, 18 stage plays, 957 short stories and over 170 novels, 12 in 1929 alone. More than 160 films have been made of Wallace’s work. He is remembered for as a writer of ‘the colonial imagination’, for the J. G. Reeder detective stories, theGreen Archer and creation of King Kong. Selling over 50 million copies of his combined works in various editions, he has been described as “one of the most prolific thriller writers of [the 20th] century”, although few of his books are still in print in the UK. Wallace had a happy childhood, forming a close bond with 20-year-old Clara Freeman and by his early teens, Wallace had held down numerous jobs such as newspaper-seller at Ludgate Circus near Fleet Street, milk-delivery boy, rubber factory worker, shoe shop assistant and ship’s cook. A plaque at Ludgate Circus commemorates Wallace’s first encounter with the newspaper business. he was dismissed from his job on the milk run for stealing money. in1894, he became engaged to a local Deptford girl, Edith Anstree, but broke the engagement, enlisting in the Infantry under the adopted the name Edgar Wallace, taken from the author of Ben-Hur, Lew Wallace.He was posted in South Africa with the West Kent Regiment, in 1896. He transferred to theRoyal Army Medical Corps, which was less arduous but more unpleasant, and so transferred again to the Press Corps. Wallace began publishing songs and poetry, much inspired by Rudyard Kipling, whom he met in Cape Town in 1898. Wallace’s first book, The Mission that Failed! was published in 1898, n 1899, he bought his way out of the forces and turned to writing full time and became a war correspondent, first for Reuters and then the Daily Mail (1900) during the Boer War. while in South Africa, Wallace married Ivy Maude Caldecott tragically The couple’s first child, Eleanor Clare Hellier Wallace died suddenly from meningitis in 1903 and they returned to London soon after. Deep in debt. 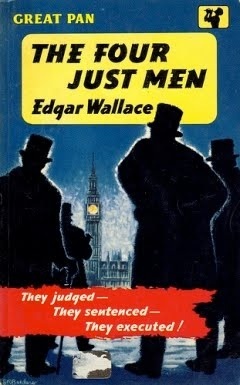 Wallace began writing detective stories in a bid to earn quick money. A son, Bryan, was born in 1904 followed by a daughter, Patricia in 1908. Unable to find any backer for his first book, Wallace set up his own publishing company, Tallis Press, and released the thriller The Four Just Men (1905). Despite promotion in theMail and good sales, the project had financial difficulties and Wallace was dismissed in 1907, the first reporter ever to be fired from the paper, and he found no other paper would employ him, and his family lived continuously in a state of near-bankruptcy. During 1907 Edgar travelled to the Congo Free State, to report on atrocities committed against the Congolese under King Leopold II of Belgium and the Belgian rubber companies, in which up to 15 million Congolese were killed. Wallace twas invited to serialise stories inspired by his experiences. These were published as his first collection Sanders of the River (1911), a best seller, later adapted into a film (1935) starring Paul Robeson. Wallace went on to publish 11 more similar collections (102 stories). They were tales of exotic adventure and local tribal rites, set on an African river, mostly without love interest as this held no appeal for Wallace. His first 28 books and their film rights he sold out right, with no royalties, for quick money. Initially he wrote mainly in order to satisfy creditors in the UK and South Africa. The success of his books began to rehabilitate his reputation as a journalist And He wrote for the Week-End and the Evening News, becoming an editor for Week-End Racing Supplement and started his own racing papers Bibury’s and R. E. Walton’s Weekly, buying many racehorses of his own. He lost many thousands gambling and during 1916, Ivy had her last child, Michael Blair Wallace by Edgar and filed for divorce in 1918. Ivy moved to Tunbridge Wells with the children and Wallace drew closer to his secretary Ethel Violet King And They married in 1921 and Penelope Wallace was born to them in 1923. Wallace began to take his fiction writing career more seriously and signed with publishers Hodder and Stoughton in 1921. They advertised him as a celebrity writer, ‘King of Thrillers’, known for this trademark trilby, cigarette holder and yellow Rolls Royce. He was said to be able to write a 70 000 word novel in three days and plough through three novels at once and indeed the publishers agreed to publish everything he wrote as fast as he could write it. In 1928 it was estimated that one in four books being read in the UK had come from Wallace’s pen. He wrote across many genres including science fiction, screen plays, a non-fiction ten-volume history of the First World War. All told, he wrote over 170 novels, 18 stage plays and 957 short stories, his works translated into 28 languages. Wallace served as chairman of the Press Club, which continues to present an annual ‘Edgar Wallace Award’ for excellence in writing.Wallace was also appointed chairman of the British Lion Film Corporation. Wallace’s contract gave him an annual salary, a substantial block of stock in the company, plus a large stipend from everything British Lion produced based on his work, plus 10% of British Lion’s overall annual profits. Additionally, British Lion employed his elder son Bryan E. Wallace as a film editor. Wallace was the first British crime novelist to use policemen as his protagonists, rather than amateur sleuths as most other writers of the time did. Most of his novels are independent stand-alone stories; he seldom used series heroes, and when he did he avoided a strict story order, so that continuity was not required from book to book. On 6 June 1923, Edgar Wallace became the first British radiosports reporter, when he made a report on the Epsom Derby for the British Broadcasting Company, the newly founded predecessor of the BBC Wallace’s ex-wife Ivy was diagnosed with breast cancer in 1923 and though the tumour was successfully removed, it returned terminally by 1925 and she died in 1926. Wallace wrote a controversial article in the mid-1920s entitled “The Canker In Our Midst” about paedophilia and the show business world. Describing how some show business people unwittingly leave their children vulnerable to predators, it linked paedophilia with homosexuality and outraged many of his colleagues, publishing associates and business friends . Wallace became active in the Liberal Party and contested Blackpool in the 1931 general election as one of a handful of Independent Liberals who rejected the National Government, and the official Liberal support for it, and strongly supported free trade. healso bought the Sunday News, and edited it for six months, writing a theatre column, before it closed. i the event, he lost the election by over 33,000 votes, and he went to America, burdened by debt, in November 1931. In Hollywood he began working as a ‘script doctor’ with RKO.One of his first successes was the 1932 film adaptation of The Hound of the Baskervilles. His later play, The Green Pack had also opened to excellent reviews, boosting his status even further. Wallace wanted to get his own work on Hollywood celluloid, adapting books such as The Four Just Men and Mr J G Reeder. In Hollywood he met Stanley Holloway’s scriptwriter, his own half-brother Marriott Edgar. Wallace’s play On the Spot, written about gangster Al Capone, would prove to be the writer’s greatest theatrical success. It is described as “arguably, in construction, dialogue, action, plot and resolution, still one of the finest and purest of 20th-century melodramas”. (The Independent, 2000).It launched the career ofCharles Laughton who played the lead Capone character Tony Perelli. In December 1931, Wallace was assigned work on the RKO “gorilla picture” (King Kong, 1933) for producer Merian C. Cooper. By late January, however, he was beginning to suffer sudden, severe headaches, and was diagnosed with diabetes. His condition deteriorated within days. Violet booked passage on a liner out of Southampton, but received word that Edgar had slipped into a coma and died of the condition, combined with double pneumonia, on 7 February 1932 in North Maple Drive, Beverly Hills. The flags onFleet Street’s newspaper offices flew at half-mast and the bell of St. Bride’s tolled in mourning. he was buried at Chalklands, Bourne End, Buckinghamshire, near his UK country home. Despite his later success, Wallace had amassed massive debts, some still remaining from his years in South Africa, The large royalties from his greatly popular work allowed the estate to be settled within two years. Violet Wallace outlived her husband by only 14 months, dying suddenly in April 1933 at the age of 33 . Her own will left her share of the Wallace estate to her daughter Penelope, who became the chief benefactor and shareholder. Penelope started the Edgar Wallace Society in 1969. Wallace also has a pub named after him More than 160 films have been made based on Wallace’s work. Russian poet and novelist Boris Leonidovich Pasternak was born 10 February 1890. At first Pasternak aspired first to be a musician. Inspired by Scriabin, Pasternak studied at the Moscow Conservatory. In 1910 he abruptly left for the German University of Marburg, where he studied under Neo-Kantian philosophers Hermann Cohen and Nicolai Hartmann. Although Professor Cohen encouraged him to remain in Germany and to pursue a Philosophy doctorate, Pasternak decided against it. and returned to Moscow upon the outbreak of World War I. His first poetry anthology was published later that year. Influential German poet, playwright, and theatre director Bertolt Brecht was born 10 February 1898 in in Augsburg, Bavaria. Thanks to his mother’s influence, Brecht knew the Bible, a familiarity that would impact on his writing throughout his life. From her, too, came the “dangerous image of the self-denying woman” that recurs in his drama. When he was 16, the First World War broke out. Initially enthusiastic, Brecht soon changed his mind on seeing his classmates “swallowed by the army”. Brecht sought a loophole by registering for an additional medical course at Munich University, where he enrolled in 1917 and studied drama. From July 1916, Brecht’s newspaper articles began appearing under the new name “Bert Brecht” (his first theatre criticism for the Augsburger Volkswille appeared in October 1919). Some time in either 1920 or 1921, Brecht took a small part in the political cabaret of the Munich comedian Karl Valentin whom he compared to Charlie Chaplin. Brecht’s first full-length play, Baal (written 1918), arose in response to an argument initiating a trend that persisted throughout his career of creative activity that was generated by a desire to counter another work (both others’ and his own, as his many adaptations and re-writes attest). “Anyone can be creative,” he quipped, “it’s rewriting other people that’s a challenge.” Brecht completed his second major play, Drums in the Night, in February 1919. In 1922 while still living in Munich, One writer enthused about the play saying At 24 the writer Bert Brecht has changed Germany’s literary complexion overnight with Drums in the Night. Brecht made equally significant contributions to dramaturgy and theatrical production durin the 20th Century, the latter particularly through the huge impact of the tours undertaken by the Berliner Ensemble – the post-war theatre company operated by Brecht. In November it was announced that Brecht had been awarded the prestigious Kleist Prize (intended for unestablished writers and probably Germany’s most significant literary award, until it was abolished in 1932) for his first three plays (Baal, Drums in the Night, and In the Jungle. In 1923, Brecht wrote a scenario for what was to become a short slapstick film, Mysteries of a Barbershop, directed by Erich Engel and starring Karl Valentin, which it is now considered one of the most important films in German film history. In May 1923, Brecht’s In the Jungle premiered in Munich, also directed by Engel. Opening night proved to be a “scandal”—a phenomenon that would characterize many of his later productions during the Weimar Republic—in which Nazis blew whistles and threw stink bombs at the actors on the stage. In 1924 Brecht worked with the novelist and playwright Lion Feuchtwanger on an adaptation of Christopher Marlowe’s Edward II that proved to be a milestone in Brecht’s early theatrical and dramaturgical development.That September, a job as assistant dramaturg at Max Reinhardt’s Deutsches Theater—at the time one of the leading three or four theatres in the world—brought him to Berlin. In his role as dramaturg, Brecht had much to stimulate him but little work of his own. Reinhardt staged Shaw’s Saint Joan, Goldoni’s Servant of Two Masters and Pirandello’s Six Characters in Search of an Author in his group of Berlin theatres. A new version of Brecht’s third play, now entitled Jungle: Decline of a Family,also opened at the Deutsches Theater in October 1924. In 1925, he completed his collection of poems, Devotions for the Home. In 1925 in Mannheim the artistic exhibition Neue Sachlichkeit (“New Objectivity”) had given its name to the new post-Expressionist movement in the German arts. Brecht also began to develop his Man Equals Man project, which was to become the first product of “the ‘Brecht collective’—that shifting group of friends and collaborators on whom he henceforward depended.This collaborative approach to artistic production, together with aspects of Brecht’s writing and style of theatrical production, mark Brecht’s work from this period as part of the Neue Sachlichkeit movement (New Matter-of-Factness)which stressed the collective and downplayed of the individual. In 1925, Brecht also saw two films that had a significant influence on him: Chaplin’s The Gold Rush and Eisenstein’s Battleship Potemkin.In 1926 a series of short stories was published under Brecht’s name, and also produced the play Man Equals Man. In 1927 Brecht became part of the “dramaturgical collective” of Erwin Piscator’s first company, which was designed to tackle the problem of finding new plays for its “epic, political, confrontational, documentary theatre”, this influenced Brecht’s ideas about staging and design, and alerted him to the radical potentials offered to the “epic” playwright by the development of stage technology. Brecht was struggling at the time with the question of how to dramatize the complex economic relationships of modern capitalism. 1927 also saw the first collaboration between Brecht and the young composer Kurt Weill.They produced The Little Mahagonny for a music festival in July, as what Weill called a “stylistic exercise” in preparation for the large-scale piece. Together they began to develop Brecht’s Mahagonny project, and In 1930 Brecht formed a writing collective which became prolific and very influential. Brecht’s first great play, Saint Joan of the Stockyards, attempted to portray the drama in financial transactions. The collective also adapted John Gay’s The Beggar’s Opera, with Brecht’s lyrics set to music by Kurt Weill. Retitled The Threepenny Opera (Die Dreigroschenoper) it was the biggest hit in Berlin of the 1920s and a renewing influence on the musical worldwide. One of its most famous lines underscored the hypocrisy of conventional morality working in conjunction with the established order, in the face of working-class hunger and deprivation.The success of The Threepenny Opera was followed by the quickly thrown together Happy End and Brecht used elements of Happy End in Saint Joan of the Stockyards,Happy End’s score by Weill produced many Brecht/Weill hits like “Der Bilbao-Song” and “Surabaya-Jonny”.The masterpiece of the Brecht/Weill collaborations, Rise and Fall of the City of Mahagonny (Aufstieg und Fall der Stadt Mahagonny), caused an uproar when it premiered in 1930 in Leipzig, with Nazis in the audience protesting. The Mahagonny opera would premier later in Berlin in 1931 as a triumphant sensation. Brecht spent the early 1930′s in Berlin working with his “collective” on the Lehrstücke. These were a group of plays driven by morals, music and Brecht’s budding epic theatre and were often aimed at educating workers on Socialist issues. These included The Measures Taken (Die Massnahme), Kuhle Wampe (1932), which is notable for its subversive humour, outstanding cinematography and still provides a vivid insight into Berlin during the last years of the Weimar Republic. The so-called “Westend Berlin Scene” in the 1930 was an important influencing factor on Brecht,By February 1933, Brecht’s work was eclipsed by the rise of Nazi rule in Germany and fearing persecution, Brecht left Germany in February 1933. After brief spells in Prague, Zurich and Paris he and Weigel moved to Denmark, where they settled in a house in Svendborg on the island of Funen.During this period Brecht also travelled frequently to Copenhagen, Paris, Moscow, New York and London for various projects and collaborations. in April 1939, he moved to Stockholm, Sweden, where he remained for a year.During the war years, Brecht became a prominent writer of the Exilliteratur. He expressed his opposition to the National Socialist and Fascist movements in his most famous plays: Life of Galileo, Mother Courage and Her Children, The Good Person of Szechwan, The Resistible Rise of Arturo Ui, The Caucasian Chalk Circle, Fear and Misery of the Third Reich, and many others.Brecht also wrote the screenplay for the Fritz Lang-directed film Hangmen Also Die! which was loosely based on the 1942 assassination of Reinhard Heydrich, the Nazi Reich Protector of German-occupied Prague, number-two man in the SS, and a chief architect of the Holocaust, who was known as “The Hangman of Prague.the money he earned from the project enabled him to write The Visions of Simone Machard, Schweik in the Second World War and an adaptation of Webster’s The Duchess of Malfi. Hanns Eisler was nominated for an Academy Award for his musical score.